Heavenly Creatures is a Darkwave / Electro / Dark Ambient band created by Dr. Ohm in 2004, whose style borrows from different streams of “Gothic” music such as Ambient, Folk, Neo-classical, Indus and Electro. Dr. Ohm (aka. 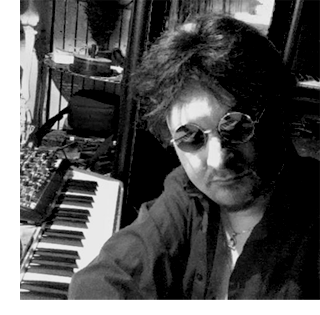 Richard Turek), born the 26th of June 1968 in Tübingen, Germany, is a classical trained composer and arranger, as well as a passionate engineer of electroacoustics, vintage synthesizers, and computers. Real key to everything, he is the poet's hand behind his machines and the heart and soul of Heavenly Creatures. The nickname Dr. Ohm is both a nod to the inventor of the unit of electrical resistance, as well as the famous series of British science fiction, Dr. Who (by reversing the letters). Strongly influenced by the pioneers of electronic music such as Klaus Schulze, Tangerine Dream, Kraftwerk, Jean-Michel Jarre, Vangelis... And later by the New Wave scene of the 80's (The Sisters Of Mercy, The Cure, Bauhaus, Dead Can Dance, This Mortal Coil... ), Dr. Ohm designs Heavenly Creatures' music with both an intimate and dreamlike feeling to it, mixing acoustic and electronic instruments. The result is a dark but beautiful music, outside formats, yet accessible and catchy. As Heavenly Creatures is a concept, there are no definite group members. However, regular collaborations took place with some independent artists on the international gothic scene, as with Dae Noctem (lead singer of Era Nocturna ), Andra Dare and Alex Taylor & The Evil Eye, who participated in the album “New Blood Parts I & II”.